It is the time of year when our days at Jake’s are filled with new students arriving for their first semester of college and the hospital is hiring new physicians. As a staff, we enjoy engaging tables in conversation about where they are from and what brings them to our area. I met a family from San Jose, California last night and several others from the New England area; all arriving early for orientation and giving their student time to settle into their new home. Sometimes we take living here for granted, or worse – focus on our “tough winters” or the remoteness of the place we call home. It is refreshing to engage those who have discovered us as they view our region a bit differently. They see the beauty of our rivers, the fresh green vistas that are not cluttered with concrete and steel, the stars and the peace of mind that comes with a safe place that has a slower pace. They comment on how friendly everyone is because where they come from people are far too busy to greet a stranger. For us it is just what you do. They value the tremendous education that our regional institutions offer, and the impressive health care provided by our regional hospital. They come bright eyed, engaged and excited. The few weeks of new guests arriving and discovering is good for all of us; we step a bit livelier, we work a bit harder to give them the experience they deserve, and we view home a bit differently. If Hannawa Falls, or Potsdam, or Canton, or Massena, or someplace close to Jake’s is home – take a moment to view home from a visitor’s eyes. It feels pretty good. ​Sundays have become pretty much my favorite. Sundays usually mean extra time with my family and when it’s not hockey season, a day with less “have to dos” than “want to dos”. Sleeping in, lazy mornings, a little longer walk with the dog, and not feeling guilty about time on the couch, make Sundays different than other days. Sundays are a good day to reflect on the week that is behind you, and to look ahead to the one about to begin. Sundays at Jake’s are different too. The staff arrives earlier and the smells are different. Rather than the smell of garlic and the smoker that fill most beginnings as the crew starts attacking the prep list, Sunday smells are our house made bacon and coffee. There is a different bounce in the step of the front of the house staff, with the volume of the music up a little higher than normal. While the servers, bartenders, hostesses and bussers prepare the dining room, laughter is common and the morning sun always seems a bit warmer than usual, as it shines brightly into the dining room. I look forward to sitting at the third stool pretty close to 10:30 each Sunday. I get two scrambled eggs and one slice of bacon with my morning coffee and wait for my father in law to arrive. I am not sure who enjoys his Sunday brunch routine more, the bartender who serves him each week, or him (or maybe it is me). This is my time to soak up his unique approach to every day, optimistic and simple and always with a smile. As you might expect the business is stressful at times but Sunday morning on that stool next to him there is absolutely no stress at all. It’s just Sunday. This year, New Year’s Eve falls on a Sunday. As I reflect on what 2017 was for me, and for all of us at Jake’s, and look ahead at what good things will come in 2018, I was reminded of the message I shared with our staff at our annual Holiday Dinner. Each year I try to find a theme for us to embrace together in the year ahead. Year one was “hold on tight”, year two was “time to define ourselves”, year three was “less better” (do less but do it better) and this year I suggested that “every day is Sunday”. I asked the staff to remember Sundays, the laughter, the sun, the family, the smells – and to try to bring that great morning energy to Jake’s with them each day. As you prepare for the year ahead and take on days that you look forward to having behind you, consider adding more Sundays to your week. Find a way to soak up what is unique about the day, create a memory with your family, turn the volume up, embrace a simple smell - find your own third stool. I hope 2018 brings you lots and lots of Sundays. ​So many choices. When we opened 3 years ago I had no idea about all the things I had no idea about. I pitched a “well thought out” business plan to the bank and off we went. With 9 draft handles and roughly 2,000 options my quick math tells me that the combinations of choices…well...lots. We tried leaning on sales reps and learned that their priorities are moving products, I get that now. We tried a variety that features selections that complimented our menu, how bold of us to make that choice for you. We tried offering what we think is selling in the local walk in coolers at grocery stores – that makes no sense. And then we had a brilliant idea, sell what sells. We look at numbers, we watch the trends, we choose kegs and bottles that our customers have told us they like by ordering them often – and guess what? Each week we look at the performance of every bottle, each draft “handle” and eliminate the non-performer and re-order the winners. We still wonder if there are more winners out there though and we gamble on what we call rotational offerings often. Beer is good, selling beer is fun, drinking beer is more fun. We recently, rather quietly, celebrated three years as Jake’s. Our first year was a huge milestone as most restaurants don’t make it that far. The second year was also pretty special as we had begun to settle into some sort of a routine and that felt good. This year means we have survived longer than 80% of restaurants according to the “experts” and I guess that’s pretty special as well. But celebrations are becoming pretty routine for us – and that’s actually a very good thing. I was watching a family celebrate a birthday tonight in the dining room; often when I get to enjoy the smiles and laughs that come with these events I think about a very cold day in January of 2014. I clearly remember standing in front of the fireplace, the only spot in the torn apart building that was slightly above zero degrees. Our contractor used the old firebox to burn scrap wood and keep his crew’s hands warm enough to swing a hammer. I often stood in that spot and imagined what it would be like when we were finished and finally had guests. I didn’t just imagine the look of the property that our talented architect had put on paper, but what the sounds of busy might be, what the smells of great food might be and what the stories and backgrounds of the people who joined us might be. As the images are real now I often reflect on whether those visions were accurate – and always come to the same conclusion – I was pretty naive. Some of the realities of owning a very busy restaurant are not so good, but most of those sounds and smells and people we meet are far better than I could have imagined. The very best part of this business though, the part that I never imagined, is all the celebrations. It feels so good to listen to the laughs and see the smiles of celebrations. So many birthdays and anniversaries, graduations and recitals. Tonight three college buddies reunited at the bar and there was no awkwardness to the sincere hugs and smiles that came with recognizing that some things hadn’t changed. We recently celebrated birthday number 81 for a special man – out of birthday candles we stuck a giant dining room table candle on the top of his birthday dessert and everyone’s smiles got a bit bigger. There is a pretty big celebration this Sunday night, fireworks launch right over Jake’s. We hope you will consider bringing the family, spreading a blanket on the lawn and enjoying another celebration with us. Laughter and smiles remind me often how lucky we are and that there is some real meaning to our simple slogan, Good Things happen at Jake’s. ​Cheers is the best television show ever, hands down. A recent binge of the series reminds me of a simpler time - growing up in the 80’s we had three channels to choose from and when the leaves were on the trees one was barely watchable. The Dukes of Hazard, Murder She Wrote, The Carol Burnett Show and Hee Haw were weekly favorites that we couldn’t record so the family got together regularly to enjoy the once weekly episodes. Later - Friends, The Cosby Show, Seinfeld and of course Cheers filled Thursday nights and other sitcoms did their best to compete. While we benefited from a weekly escape from life I am sure that those who wrote and delivered weekly stories felt big big time pressure to create and compete. Mr. Charles and Mr. Burrows wrote terrific stories and legendary lines for Norm, Cliff, Sam and Diane - and Coach. I am sure that as the series became a hit the pressure to keep creating was exciting at times, terrifying at others. Creating is exciting. I spent an hour in the kitchen this morning with a few of my favorite people. Josh was proud to share with each person that arrived his plan to present “North Country Poutine” tonight featuring potatoes he harvested and pork gravy from a pig raised in Canton just for us. Brad was carefully proud to show “the boss” how to grate parmesan cheese carefully so as not to add too much fluff. And Major proudly spilled a mop bucket on himself as he created a cleaner, safer place for all of us to work. I offered to take on more tasks on the prep list but separating eggs and finding ingredients I couldn’t pronounce was more than I was prepared for, leave the real creativity to the experts. I did my best to assist but it wasn’t long before I knew that I was over my head, the true creators needed their space this morning. Creating is exciting, and scary. Thanks for visiting, and appreciating our commitment to creating great flavors. ​Tomorrow is a big day; we will be watching as our 45th president is sworn into office. Across our country, and world, feelings are all over the place-some people are ecstatic, some downright scared to death, and others adopting the wait and see approach. As we sort through our feelings, we have decided to take a different approach. That approach is going to be about this North Country community that we are lucky to call home. In the last couple of months, we have had the frequent opportunity to visit Long Lake, a hamlet with 700 permanent residents. It didn’t take long for us to develop some relationships, get to know some names, and learn some back stories and history. When we walk into a place up there, it is not unusual to hear, “the Compeaus are here!” as they shuffle over to hear what we have been up to since our last visit. These visits always remind us why we love living in this North Country region. Here at Jake’s, we have created a family atmosphere for our employees. We really do respect and care for one another, and it is part of our mission that this philosophy trickles down to you, our guest. We encourage our staff to be friendly, engaging and genuinely interested in you and we hope you can feel that when you visit. Please introduce yourself when you come-talk to us, engage. We truly want to create a wonderful feeling of community. 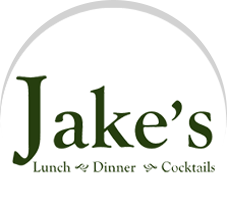 We want you to feel like Jake’s is “your” place and want to greet you by name when you come through our doors. We were reminded in Long Lake how good that feels. The North Country is a unique place. Here, it is not usually about keeping up with the Joneses, or getting ahead, or acquiring bigger and better. Historically, it has been about the people-genuine caring about those we work and play with. It has been about community. So, as we sit in anticipation of the Inauguration, this is what our approach to this new era is going to be: we are going to focus more on the people who compose our little area; we are going to smile more, engage in conversations with the people we come in contact with each day; we are going to ask about their family, and really care to hear the answer; we are going to shop local, and when we do we are going to have a conversation with the shop owners; we are going to write positive notes to teachers, doctors, bus drivers, and anyone else who goes above or beyond and touches our hearts in some way; we are going to support local organizations because it feels good and it makes a difference; we are going to do more random acts of kindness; we are going to lend a helping hand. We are going to work to make this little slice of heaven great again. Won’t you join us? Great things happen in the North Country! Is Farm to Table Just a Marketing Gimmick? ​A quick internet search leads me to believe that the Farm To Table (Farm To Fork) movement began in 2000 in Berkeley California and Boulder Colorado, no surprise. The idea of locally sourcing products certainly made sense and the message restaurants were able to share worked well as a marketing tool to compete in crowded markets. The movement caught on and literally thousands of restaurants, breweries and vineyards began boasting of locally sourcing items to assure freshness, quality and community impact. Unfortunately, with good intention came widespread fraud; claims of locally sourced products that were not, relationships with local producers that did not exist and altering of menu descriptions that deceived customers became common. Of course we buy local as much as we possibly can. In fact as we wrap up our year end reporting I note that we purchased 110 different menu items from 21 different growers based in St. Lawrence or Franklin County at a cost of $91,022.00 in 2016. This is not intended to get us a pat on the back and I don’t need to share the value of a local commitment; I write this as a thank you to so many hard working producers. It is currently 16 degrees and the wind is blowing at a steady 20 miles per hour, gusting to 40 mph occasionally. And I know that Daniel Martin, Dan and Meaghan Kent, Pat Kilcoyne, Cindy Rotman, Lee Matthews, Mark Martinchek and many others are probably wrapped in worn out layers of various “barn clothes” doing what they do best - caring for beautiful animals, duct taping greenhouses and farm tools together that should be replaced and scratching their heads trying to figure out how to make pennies get them through the long North Country winter once again. A very sincere thanks to all of you from Jake’s. Because of your commitment we get to serve our guests food that we know is raised with care - food that tastes and looks amazing. We also get to feel good about doing what we can to help you stretch those pennies a bit futher. Farm To Table is more than a marketing gimmick, it is a good thing. 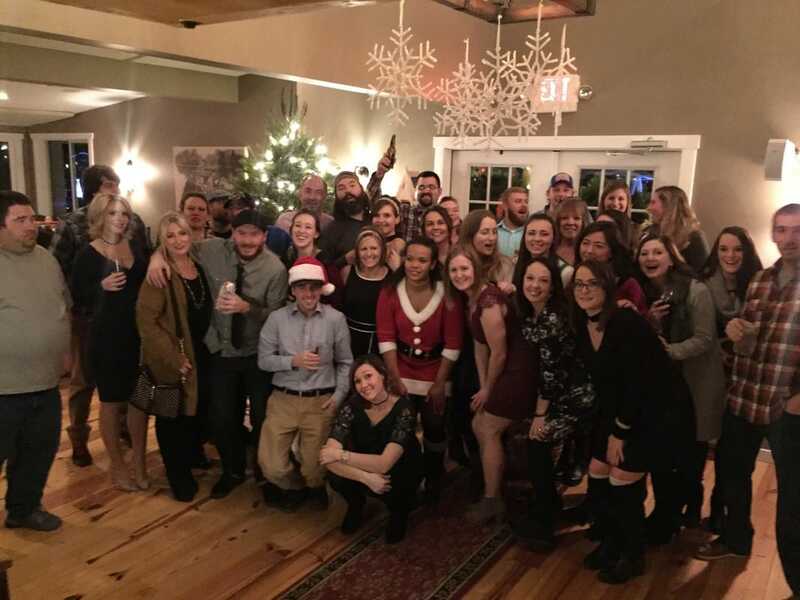 As the year comes to a close we enjoyed a special night together as a staff, laughing and eating and drinking a bit. We paused before dinner long enough for me to toast another great year; I shared My Wishes for 2017. To our morning floor shiner and my father in law - thanks for your confidence in me as a businessman and caretaker of your only daughter, we all wish for you a very healthy 2017. To our team of dishwashers we wish for you each to feel the respect you have earned each day. To our young bussers, don’t wish your youth away, stay young, your youthful energy is contagious, and there are plenty of shifts where we benefit so much from all you bring in the front door. To our young, new parents who work so hard each day so that they can provide for growing families, surround yourself with people that treat you the way you deserve to be treated – and soak up each carefree, sincere smile and laugh. To our staff with growing families, as your young lives settle into routines, embrace the days that will pop up as Facebook memories far too quickly. To our college student staff, college truly is filled with some of the very best days of your lives, remember that the most important moments don't all need to be photographed – soak up every single day that 2017 offers with your eyes wide open. To those young ladies in love, may 2017 be a year of commitment to lasting love. To those whose lives are settling into routines, (the real OG) – thanks for your maturity - your quiet support and commitment means the world to us. May 2017 be filled with lasting contentment. To our expecting moms, chaos is about to enter your world. Days will seem endless but trust me, you will wish for them to return far to soon. Enjoy every moment. To our young gun Chef, 2017 will be the year that you let yourself blow us away. To our most seasoned kitchen professional, this is the year of healing. May your soul have a peaceful 2017. To our very talented Buyer, thank you. Every person in this room is benefiting from your incredible commitment to Jake’s. We are all going to be sure to show our appreciation in 2017. To our Dining Room Manager, 2017 will be the year that you see in the mirror what all of us see each day, such a beautiful person. To our Executive Chef, while we all appreciate your managed emotion, never let the passion fade one bit – the passion for your craft, your team, your chickens, your family, our local farmers and most importantly for your new fiancé is what makes you you, and what makes so many people’s lives better; never ever let it fade. To a very special couple, Thank you for all you have both given, the year ahead is one that will be filled with change and new and exciting and scary (for me), we will all find a way to adjust to a different relationship but one that will always be strong. We all wish for you a year full of love and happiness. To my wife, thank you for your patience, your guidance and your unwavering love. ​I promise to give you all that you deserve in 2017. My heartfelt thank each of you, let’s let's make 2017 a year filled with meaningful moments. ​Every morning at 7:05 a well kept red Toyota pulls into Jake’s parking lot - you can set your watch to the arrival. The front door lock turns, a light switch is flipped and another good day begins. Lyle Fournier was born in Massena NY in 1934 to a hard working father and a stay at home mother. Large families were typical and the Fourniers were no exception; fancy cars and vacations were not part of Lyle’s childhood but ball games in the yard and pies made from scratch were matter of fact. Hard work was not just expected; it was the only way to survive when high school ended and grown up life began. Lyle worked odd construction jobs, hauled thousands of yards of concrete on the St. Lawrence Seaway project and ended up in the pot rooms at Reynold’s Metal. Even though the work was hard – and hot - life was very good. Lyle fell in love with Patty and a family began to grow, adding life to the little house on Orchard Street, the first big purchase for the young couple. A friendship was struck with a budding entrepreneur and Lyle caught the bug – a partnership was formed and the two purchased Malone Bowl, leaving the comfort of Orchard Street and heading to Malone to see if they could make it on their own, and they did. Four children who make him feel complete rounded out a busy life but as retirement years approached and life in “the alleys” became more than Lyle had to give, a move to Potsdam placed him close to family and Jake’s became a great way to add routine to a simpler life. Lyle has been shining up Jake’s each morning since the day we opened and he hadn’t missed a day until just a few weeks ago. I get to share a part of each day with Lyle as I rush in to “set the drawers” and see what fires will be burning when I return later that day. For a long time all I noticed was the old school country music playing a little louder than I preferred, or the dreaded FOX News broadcasts screaming about who was right and who was wrong from the televisions. I rushed in, made a polite hello, got my tasks done and went on my way. And then I grew up a little bit and starting paying attention. I listed to stories, I asked questions, I observed and I took advantage of what was sitting in front of me each day. Each day I get to share a moment with a man who sees the good in all that each day offers; a very simple view of a very complex world is sincere and contagious. I was in a bit of a hurry after returning from a trip away this week but paused to enjoy Lyle’s pride in his victory in a local football pool. I envy his joy in a simple life, his pride in his work, his infectious view on all things good. I am lucky to have time with him each day. Even luckier that he survived a heart attack a few weeks ago – even luckier that he gave me his only daughter’s hand in marriage 25 years ago. Good things happen at Jake’s – at 7:05 each morning.